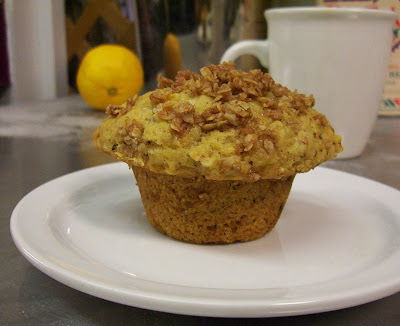 Carrot Cake, Walnut Streusel Muffins, Ginger Peach Muffins, Peanut Butter Cookies, Chocolate Chip Cookies, Oatmeal Cream Pies, Granola Bars and more at the co-op. Walnut Streusel Muffins and Peanut Butter Cookies are at the co-op. Coconut Cakes w/Vanilla Buttercream & Toasted Coconut, Macadamia Chocolate Chip Cookies, Oatmeal Cream Pies, Oatmeal Cranberry Cookies, Granola Bars, Winter Mint Brownies(gluten/soy free) and more at the co-op. Dark Sweet Cherry Pastries are at the Co-op. Get some! 2 layer 6" Chocolate Cake w/ Vanilla Buttercream special order from last weekend. Happy Birthday! Chocolate Vanailla Cream Sandwiches, Winter Mint Brownies(gluten/soy free), Macadamia Chocolate Chip Cookies, Ginger Peach Muffins, Cinnamon Raisin Muffins and more at the Co-op. Peanut Butter Cream Filled Chocolate Cakes, Sweet & Spicy Ginger Cookies, Double Chocolate Cookies, Peanut Butter Cookies, Cherry Coconut Cookies(gluten/soy free), Winter Mint Brownies(gluten/soy free), Oatmeal Cream Pies, Apple Pecan Granola Bars and more at the co-op. Oatmeal Cranberry Cookies, Apricot Almond Cookies(gluten/soy free), Chocolate Chip Cookies, Peanut Butter Cookies, Oatmeal Cream Pies, Cranberry Ginger Muffins, Walnut Streusel Muffins, Granola Bars, Winter Mint Brownies(gluten/soy free) and Chocolate Raspberry Cakes are at the co-op. Vanilla Cream Filled Cakes(twinkies), Pumpkin Pie Muffins, Cinnamon Raisin Muffins, Granola Bars, Winter Mint Brownies(gluten/soy free), Oatmeal Cream Pies, Peanut Butter Cookies, Chocolate Chip Cookies and more at the co-op. Pumpkin Pie Muffins, Granola Bars, Oatmeal Cream Pies, Winter Mint Brownies(gluten/soy free), Chocolate Cherry Cookies, Sweet & Spicy Ginger Cookies, Peanut Butter Cookies and more at the co-op. Chocolate Raspberry Cakes, Oatmeal Raisin Cookies, Peanut Butter Cookies, Oatmeal Cream Pies, Chocolate Chip Muffins, Ginger Peach Muffins, Winter Mint Brownies(gluten/soy free), Granola Bars and more at the co-op.